Founding member of RWA (one of 8 and the only one still involved with the association - 2 unfortunately have passed away, the other 6 have left to pursue other interests). Started reading romance at age 9. Blame the 'happily-ever-after' fairy tales of younger years for that. When it comes to writing, though, my passion for justice led me to romantic suspense, a genre I have pursued for many years. Have always had a great interest in all things paranormal - my favourite shows are The X-Files and Supernatural - but had not thought to write in the genre. Then two years ago my father passed away and the strangest thing happened. A story popped into my head (as they do). Not romantic suspense but otherworldly and suddenly I was consumed by the need to immerse myself in the paranormal genre. Doing that had a profound effect on me. I realised that, yes, I do love romantic suspense, but my real love is the paranormal genre, with leanings toward the speculative side of it. And that is the line I'm targeting with my own writing today. 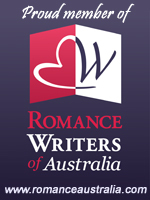 Have had success in competitions with my romantic suspense manuscripts but am as yet unpublished. With my new-found passion for paranormal romance, I am reaching for that 'published' goal with a heart full of enthusiasm. 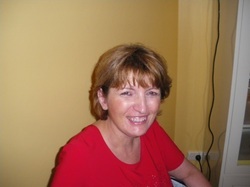 ​You can find Enisa on her website and blogging at Breathless in the Bush.